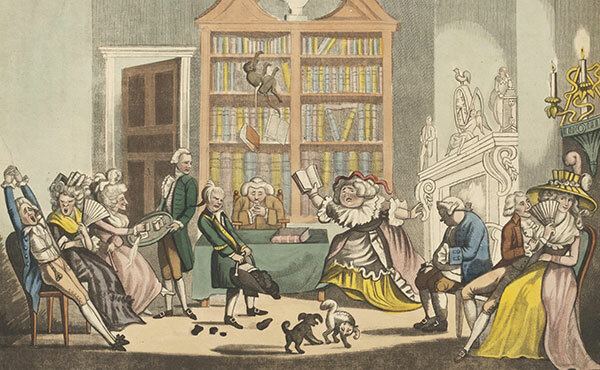 What did Irish people read in the eighteenth century? The impact of print may have been more muffled than initially supposed. Between 1550 and 1800 almost 30,000 different publications were printed in Ireland. This development, accelerating from the 1720s, has been seen as the motor driving enlightenment, secularisation, rationalism, nationalism, material and mental betterment, ‘modernity’, political engagement, restlessness and ultimately, in the 1780s and 1790s, revolution—albeit failed. Wishing to test these bold notions, it seemed necessary to try to classify what was printed in Ireland before 1800. Since Raymond Gillespie has established the contours of the period stretching to the 1680s in his Reading Ireland (2005), I have concentrated on what happened thereafter. 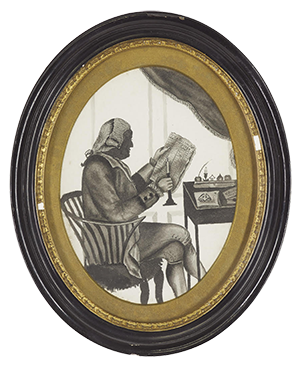 The sheer scale of the undertaking, since I quickly concluded that categorising the material meant reading a substantial selection of it, made me end the study in 1784. 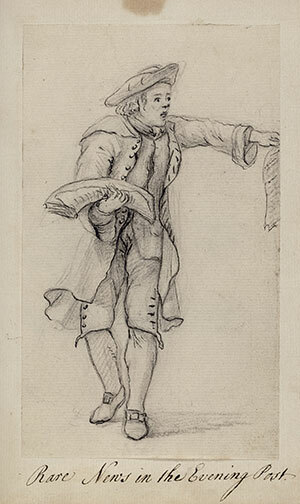 More restrictive regulation of the press and the rapidly changing political landscape, both in Ireland and continental Europe, suggested that the concluding sixteen years of the eighteenth century were best left to a separate treatment and a different surveyor. Quantifying the output is relatively simple, if laborious. I have benefited enormously from collaborative projects, notably the English Short Title Catalogue (ESTC), which lists surviving copies of works known to have been published in Britain, Ireland and North America, and those in the English language that appeared elsewhere. The ESTC enables what was published in Ireland before 1800 to be identified by title and annual totals tallied. Dublin printings can be separated from the small but growing number emanating from the provinces (approximately 2,000 titles). More taxing was an ambition to bring to life those who wrote, published, sold, bought and even read the printed works. Retrieving the contexts and intentions of a great miscellany of printings meant turning to clues in manuscripts and publications, which I have encountered since I began research in the 1960s. Then, too, I wished to assess the impact of the printed words (and images). Unfortunately, most readers prove taciturn or laconic. As with the authors themselves, the few who expressed opinions were usually the disgruntled. A consequence of the way in which the evidence is tilted may be that I have assembled a gallery of the aggrieved and opinionated. The contented seldom record their satisfaction. Having taught history for more than 40 years, maybe I have adopted a weary wariness. Quickly I abandoned the credulity of some historians of the book in assuming that once a work was in the public domain as a printed text it was greedily consumed. What is read—supposedly so transparent in its meanings—is understood or misunderstood in myriad, frequently contradictory, ways. Occasionally an author may have intended ambiguity; some messages are so complex as to defy clear communication. More often, sadly, the text is wrapped in obfuscation and so allows numerous, sometimes bizarre, readings. Thoughts of this sort strengthened, the longer and harder I looked into what was available to be read in later seventeenth- and eighteenth-century Ireland. Indeed, a mounting scepticism threatened to wreck the project on which I had blithely embarked. Rather than believing that publications were snapped up while still damp from the press, I have been struck time and time again by how slowly even the physical copies were acquired, and then by how many were ignored by all but a handful of enthusiasts. Frequently serendipity governed the acquisition of books. 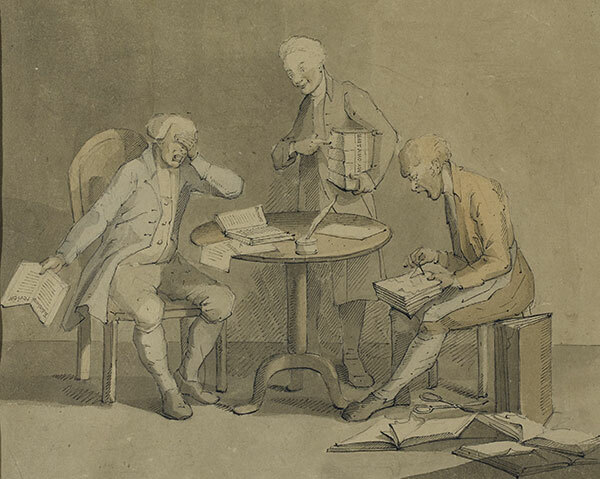 The old, outdated and outmoded were grabbed and devoured: a conclusion at odds with the drift of much recent writing on Irish intellectual life in the eighteenth century. An obstacle to constructing more than an impressionistic picture is the loss of much that is known from advertisements and casual comments to have been printed. The flimsy and cheap have suffered badly. The single sheets on which were printed scabrous rhymes, crude woodcuts (whether holy or profane), primers for children, posters, verses and exhortations are mostly lost. Instead, what is left is weighted (literally) towards hefty volumes of theology or ancient history. What catered to and was composed and used by the learned is not to be dismissed, but it is hardly a convincing way into what the majority of lay people read day by day. To retrieve popular attitudes towards past, present and future, and to the worlds—material and imagined—in which the Irish lived, is an elusive and, perhaps, in the end an unrealistic quest. For some, but probably a minority, print shaped their impressions and reactions. But, simply because they are still there to be read and analysed, printed texts may have been fetishised at the expense of the ideas conveyed through talk, memories, songs, rituals and the handwritten. Notwithstanding the recent, sterling endeavours of Vincent Morley in The popular mind in eighteenth-century Ireland, collective outlooks as distinct from the mental worlds of rare, quirky and exceptional individuals (such as Edmund Burke or Charles O’Conor) can only be inferred. How seriously a plausible picture is hampered by the losses is suggested by the destruction of early newspapers. Perhaps the most amenable to thorough analysis of contents and their biases is the Belfast News-Letter. It contrasts with the disappearance of almost all copies of the newspapers that are known to have been published in, for example, Derry, Waterford and Athlone. Ursula Callaghan in her pioneering thesis (Mary Immaculate College, Limerick, 2010), with its close study of the journals appearing in and surviving from Limerick, has shown what their readers encountered, both as news and through the many commodities that were advertised, from distant societies. Along with other investigations, this study suggests that, whatever sense of locality was fostered by local news-sheets, it was overshadowed by exciting tidings from outside Ireland and Britain. Nor was it only foreign events: the printed columns touted consumer novelties and durables that tempted the Irish into outlandish fashions. The longer that I wrestled with these questions, the stronger became the suspicion that the impact of print may have been more muffled than I had initially supposed. Undoubtedly there was a surge in publishing: first in Dublin from the 1720s and then, less dramatically, in the provinces, with Belfast and Cork as the principal centres of production. Yet the increase, rapid and striking from the 1680s until the 1740s, then levels off. That minority avid to buy and read print was not expanding dramatically and was satisfied with a steady supply of fresh material. Although the latest was constantly cried up, the venerable—sacred and mythical tales—contented many. Print may have been more powerful in embedding traditions than in subverting them. It must be remembered, too, that the printing and sale of books were commercial not altruistic enterprises. In addition, they were risky businesses, frequently combined with others—a favourite was the selling of patent medicines. Seeds and manure might also be stocked. Some book traders did not persist in what proved an unprofitable activity; bankruptcies were common, as with the Catholic Eugene Swiney in Cork. For a few the calling was a route to respectability. Here George Faulkner in Dublin was the outstanding success, commercially and socially. The canny detected and exploited what they hoped were neglected but lucrative markets. There emerged those who specialised in publications for children, women and (increasingly) devout Catholics. Regular orders could be expected from the pupils of the multiplying schools and the different religious denominations. All were worth cultivating but individually did not suffice for a livelihood. The state and official institutions made work, although in the case of the former not as much as might have been anticipated. Indeed, the slow and unadventurous embrace of print by the government may cast in doubt some of the extravagant claims made for the efficiency of the state machine based in Dublin. Apologists of the Hanoverian system in Ireland elbowed forward; they wrote and published propaganda. By doing so, they earned ridicule or contumely. How much they stiffened loyalists against the blandishments of radicals and revolutionaries has yet to be established. These hacks—‘bustling pulpit orators’, as one (Revd William Henry) was described—compose a motley, even unsavoury crew. And, more generally, those who flit through the pages of Brought to book grumble constantly. In contrast, those pleased with the response to and earnings from their publications tend to keep mum. Print assailed through proclamations and notices posted in public places. Graphic signs swinging outside shops gradually gave way to lettered fascia and signage. Among several other surprises, however, I found that the government in Dublin, although it continued to issue official edicts, notably proclamations, was unadventurous when it came to using print to strengthen its hold over the provinces. While it did not eschew propaganda, the state neglected to use printed instruments systematically in order to standardise official and legal procedures. A strand in recent writing has been to place Ireland more firmly in the emergent fiscal-military state of the Hanoverians and akin to continental Europe. So far as its employment of printing is concerned, I am inclined to a view of the government of eighteenth-century Ireland as ramshackle and only erratically efficient. A striking failure, which I and others—particularly Niall Ó Ciosáin—have emphasised before, is the absence of printing in the Irish language. Much is made, reasonably enough, of the sparse exceptions to the neglect, notably the sermons of Bishop James Gallagher. These exceptions apart, the government did nothing to communicate with Irish-speakers, still a majority notwithstanding the spread of bilingualism. Equally culpable were the churches. The established Church of Ireland and the Presbyterians abandoned their earlier flirtation with evangelising in Irish and providing printed helps for these efforts. More remarkably, the Catholic Church preferred English (or Latin), and print confirmed and deepened this Anglicising thrust. Here contrasts can be drawn with a more generous treatment of Welsh, thereby helping it to survive and even thrive, and, less markedly, Scots Gallic. 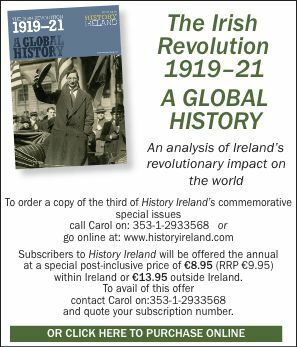 It would be disillusioning at the end of protracted study and writing about the phenomenon of printing in Ireland to minimise and maybe trivialise what it achieved. Yet it verges on romanticising to assume that all had access to print. Levels of literacy in eighteenth-century Ireland are hard to ascertain with real exactness, but it is widely agreed that the tendency was upwards. It is, however, a dangerous leap then to be confident that those who had been drilled into functional literacy thereafter willingly applied it to recreational reading. It needs to be remembered that print was seldom free. Given the lack of spare pennies for non-essentials among the bulk of the population, print had to compete against other, more obviously alluring goods. To ease this difficulty, there was free print. Educational and religious charities distributed pious or improving tracts, if not always gratis at least at generously discounted prices. To today’s reader, such pamphlets are of such stultifying dreariness that there is a tendency to conclude that they would not be used—an unwarranted assumption. To counter this dismissal, Brought to book may try the patience of its readers by giving space and attributing influence to drab tracts and pamphlets designed to foster piety, to instil the rudiments of spelling, grammar and writing, or to impart technical proficiency in mensuration, arithmetic, astronomy, astrology, seamanship, horsemanship and courtship. Nevertheless, it is likely that the mundane applications of print, not rhetorical flights, entrenched it in daily routines. Toby Barnard is emeritus Fellow in History at Hertford College, University of Oxford. T. Barnard, Brought to book: print in Ireland 1680–1784 (Dublin, 2017) [reviewed on p. 61]. R. Gillespie, Reading Ireland: print, reading and social change in early modern Ireland (Manchester, 2005). V. Morley, The popular mind in eighteenth-century Ireland (Cork, 2017).